At the Opening Ceremony of the 45th Union World Conference on Lung Health in Barcelona, Maarten van Cleeff (MD, MSc, PhD) has been presented with the Karel Styblo Public Health Prize. KNCV Tuberculosis Foundation’s Maarten van Cleeff is director of TB CARE I and its successor project Challenge TB. 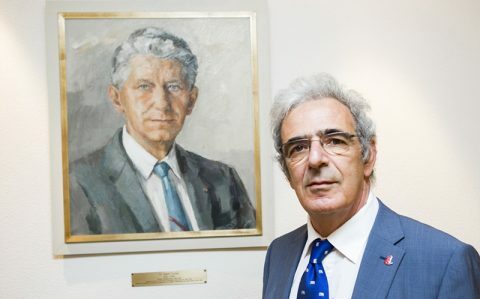 Like many of the experienced pioneers in KNCV Tuberculosis Foundation (KNCV), Maarten van Cleeff (MD, MSc, PhD) has been deeply inspired by Dr. Karel Styblo, the founder of the modern-day approach to tuberculosis (TB) control. But Dr. Styblo also meant a great deal to Maarten personally… Read the full article: Karel Styblo Award for Maarten van Cleeff.